President of the United States: You messed with the wrong country and you fucked the wrong President! This is Dolph's directorial debut. This is Dolph's directorial debut. For the tight schedule and budget he had, Lundgren does a really good job. Here's the reason to watch the flick: It has Jerry Springer as the President! 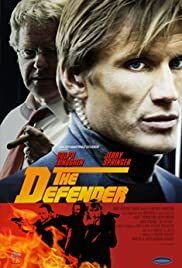 Dolph Lundgren stars as Lance Rockford who is assigned to protect the prez from terrorists. Everything goes wrong and Rockford has to battle everybody. Can he make it out alive? Springer puts in a decent performance. Wished he had more screen time though....but the movie has a lot of action. The Mechanik also directed by Lundgren is awesome!